I have a 1937 edition of Compton’s Pictured Encyclopedia that used to belong to my Grandmother Bodnum. I love looking through it occasionally to see what I can find.Here’s a bit of history that seems hard to imagine in our day of streaming video and HD TV. 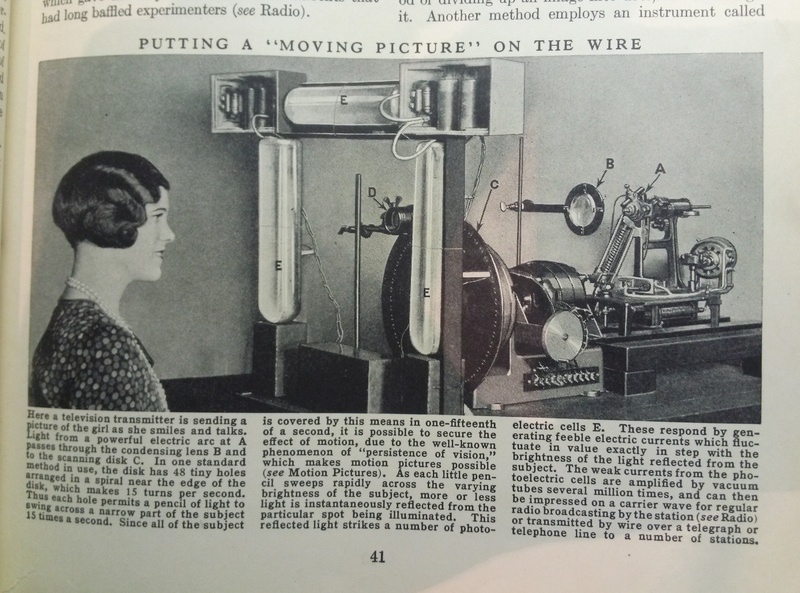 This picture shows a mechanical method of dividing an image into dots or “scanning” it. At the receiving end, the viewer’s eyes receive pulses of light from holes in the receiving disk which combine to produce a “fair” copy of the activity being transmitted. 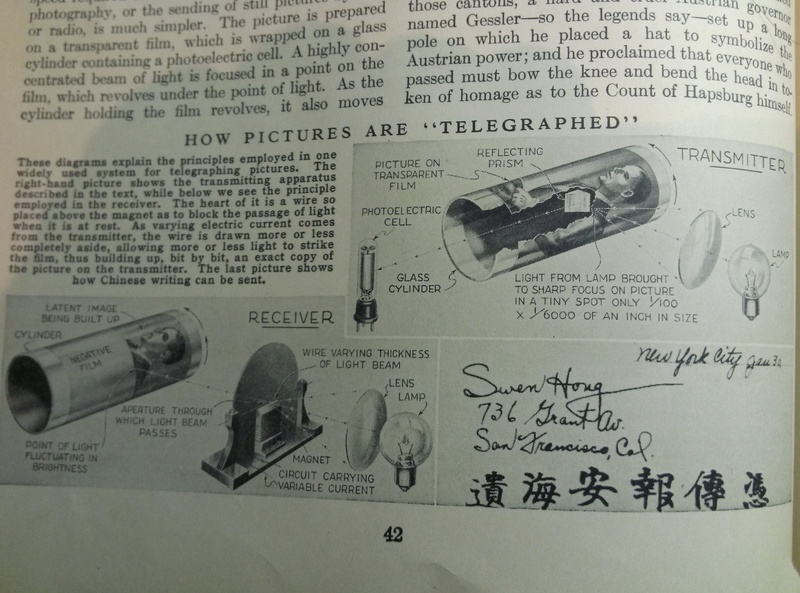 “Teleophotography” seems to be a term used for the concept that turned into a fax machine, for one thing. Television broadcasting stations operate in New York City, London, Berlin and other great centers, but the service is still experimental, for several reasons. The number of signals that must be sent each second to repro0duce images is much greater than is required for sending sound. Some systems, for example, employ upwards of a million signals per second….The high cost of apparatus is another factor that delays popular use. From experimental to commonplace in three-quarters of a century. 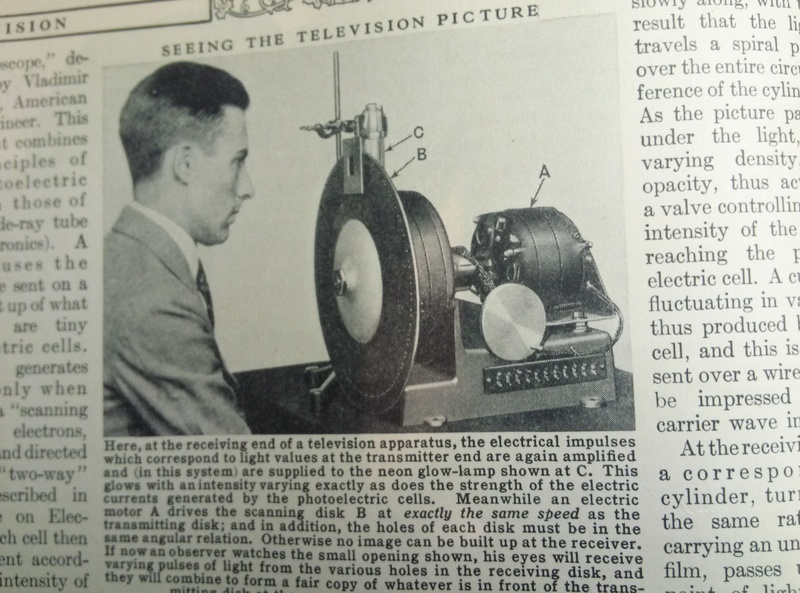 This entry was posted in Comptons Pictured Encyclopedia 1937, Musings and tagged 1937, history of television, telephotography by dborys. Bookmark the permalink.